Already getting scalped on the bay. More H&H Vermont Meat Candy in the SP Bulldog. This stuff is mapley-delicious. Watch City Old Black Magic in a Grand Duke. You can really taste the tangy vinegar bite in briar, and I dig it. You know, just to rub it in.. Working from home today. Just finished an early lunch, and have loaded this GBD up with Macanudo again. Black coffee on the side. Glad to see you around MD. Seems like you've not been gettin' your pipes in as usual. 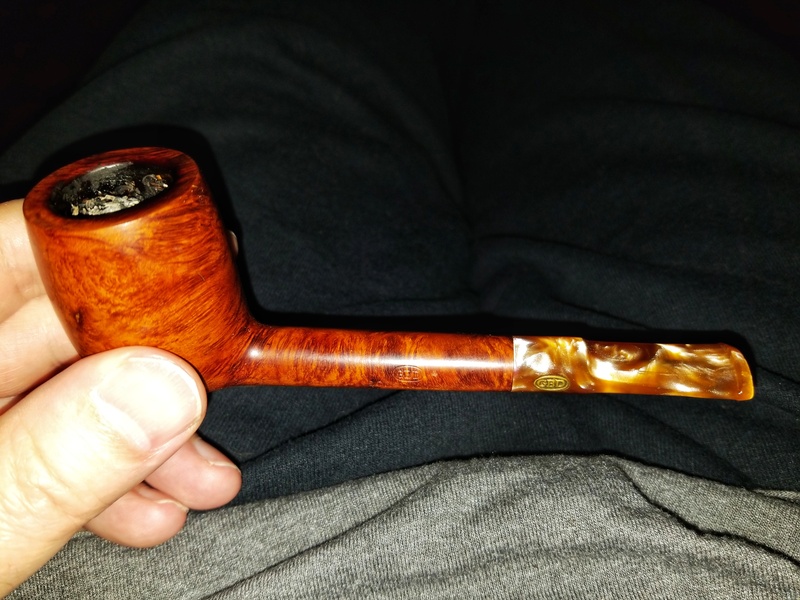 H&H Vermont Meat Candy in a MM Legend. Wew! That went fast. Loaded up some more This stuff just smokes way too easy.